Dr. Joseph William Black is an OCMC Missionary serving in Nairobi, Kenya under the Omophorion of Archbishop Makarios of Kenya. Bill is a lecturer at Makarios III Patriarchal Orthodox Seminary. He is also Senior Lecturer in History and Theology at St. Paul’s University in Limuru and Nairobi. Bill was born in Winston-Salem, NC, and grew up in Anderson, SC. He attended Duke University, where he was involved with InterVarsity Christian Fellowship. His first exposure to missions came in 1980 when he went to Kenya on a three-month program that involved living with a Kenyan pastor and his family. After his graduation, he worked for four years with InterVarsity Christian Fellowship as a campus staff member. He also directed InterVarsity’s short-term mission program from 1983-1986. After attending Gordon-Conwell Theological Seminary (1986-1989), Bill was ordained as the Presbyterian Church (USA) minister of two small churches outside of Pilot Mountain, NC. He also served as the associate pastor of First Presbyterian Church in Reading, PA. In 1996, Bill moved with his family to Cambridge, UK, where he completed a PhD in early modern British history under the supervision of Prof. Eamon Duffy. It was during these years that Bill was first introduced to Orthodoxy through his friend, Fr. John Jillions, who then was also studying in Cambridge and serving as the Director of the Cambridge Center for Orthodox Studies. 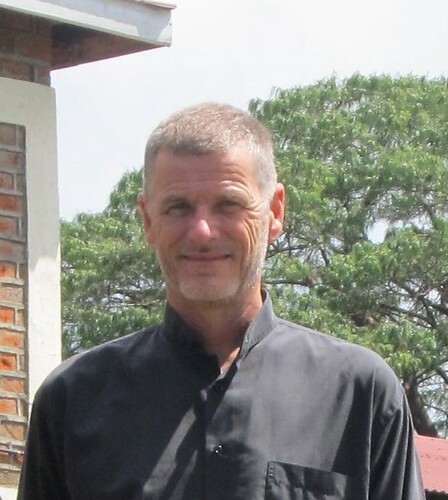 After Cambridge, Bill was appointed as a missionary through SIM (Serving In Mission) to serve in Addis Ababa, Ethiopia, and taught Theology and History at the Ethiopian Graduate School of Theology from 2001-2008. Bill also served as the senior pastor of the International Evangelical Church in Addis Ababa from 2004-2007. In 2008, Bill moved with his family to Nairobi, Kenya, where he was a lecturer in History and Theology at the Nairobi Evangelical Graduate School of Theology (now Africa International University). When Bill converted to Orthodoxy in 2011, he was dismissed from his position as lecturer, as well as from his sponsoring mission, SIM. In late 2011, he was appointed to the faculty of St. Paul’s University as an adjunct. In 2012 he was appointed a Senior Lecturer in History and Theology at St. Paul’s University. Among his academic duties, he also developed the PhD program for the departments of Theology and History in the School of Theology. In 2012, Bill was tonsured a Reader by His Eminence Makarios. Already called on to preach both at the Cathedral of Sts. Anagyroi in Nairobi, Bill was also invited to preach at a number of Orthodox Churches in the surrounding rural areas. Bill accompanied His Eminence on two different pastoral visits to western Kenya, seeing firsthand the needs of rural priests and parishes. As a result of these trips, Bill developed a plan for a continuing education program for the more than 250 priests in the Archdiocese. Bill was also invited as a guest lecturer in Patristics at the Patriarchal Orthodox Seminary in Nairobi. In addition, Bill has served as an editor for His Eminence’s sermons and papers published in the Archdiocesan Yearbook. Bill has two grown daughters. Linnea, the oldest, is married to William and lives in northern Virginia. Caroline, the younger, is married to Will and lives in Orlando, FL. Bill sings, plays the viola, gardens, and likes to run.